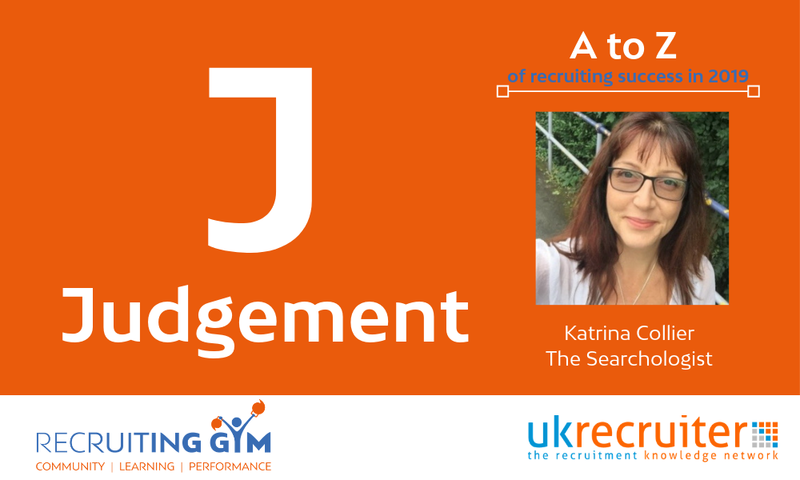 In this video from Katrina Collier, candidate engagement author, and speaker explains why a recruiters judgement will be key to their success in 2019. Katrina said, “J is for judgment. And that’s the recruitment process, right? We judge people in, we judge people out. I mean, you’re doing it right now, you’re deciding I’m too old, I’m too young, I’m too brunette, I’m not blonde enough, perhaps you don’t like my accent. There’ll be any number of reasons, possibly, don’t like the magnolia wall behind me, which is fair. Did you know, though, that if you have that little tick box that asks about a criminal conviction that 70% of companies will admit that they judge against somebody who ticks the box? Yet here in the UK, 50% of the criminal convictions for men are for driving offences, and only 8% of people with a criminal conviction actually go to jail. Extraordinary, right? Yet we judge against them. That’s the recruitment process. So why am I talking about judgment? I mean, who am I, Katrina Collier, to think I have any right to talk about it? Well, my expertise falls in candidate engagement. And the fact that most recruiters are completely unaware that they’re being judged. They forget that the candidates are looking at them and they’re looking at their company. So you need to make sure you look like you’re worthy of somebody’s time, like your opportunity and your company is worthy of somebody’s time like your hiring managers look worthy of someone’s time. Because you’re being judged. But how can you use Katrina’s video to help you engage your team in thinking more about how clients might be judging them by what they see online and hear on the phone. Judgement is at the heart of the job of a successful recruiter. 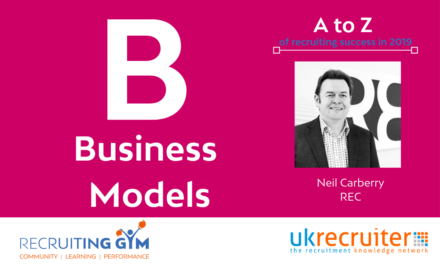 Recruiters are themselves being judged by clients and candidates. How well do we know how what criteria our clients judge our candidates on? 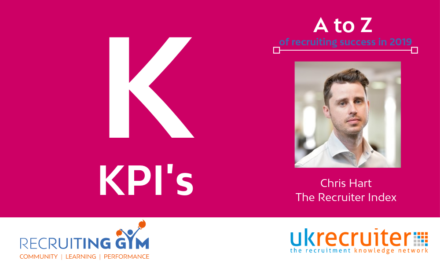 the CV, testing, social media profiles? 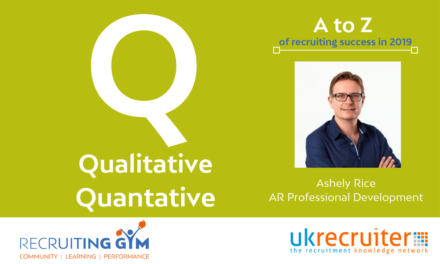 What questions could we ask clients to better understand the criteria clients judge candidates against. What to candidates and clients look at online to judge us? What are the 2 things we could each to improve how people judge us on-line and after phone conversations? 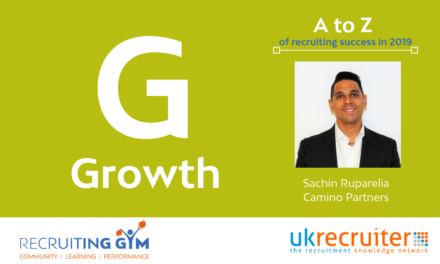 Each consultant to over the next day to ask 5 clients or candidates what judgements they may reach from looking at your Linkedin profile? As a team discuss what judgements your clients had made about your profile and what impact these judgements may have on your success. In today’s market place, there is competition in every area. why make it easy for clients and candidates to reach negative conclusions about you. Every post on social media and after every phone call you leave an impression that will help candidates and clients make a judgement about you and your capability. Only you can choose whether the judgement they make Is a positive one or a negative one. Join me in the Gym and ask me or any of the other coaches for advice on improving the impression you leave online or over the phone with candidates or clients.